Print advertisement created by Publicis, France for Heineken, within the category: Alcoholic Drinks. looky-likey. big deal. done a billion times. anyone could come up with this. anyone. dire. and it doesn't even look good. did the Incredible Hulk piss over the image? Brilliant! 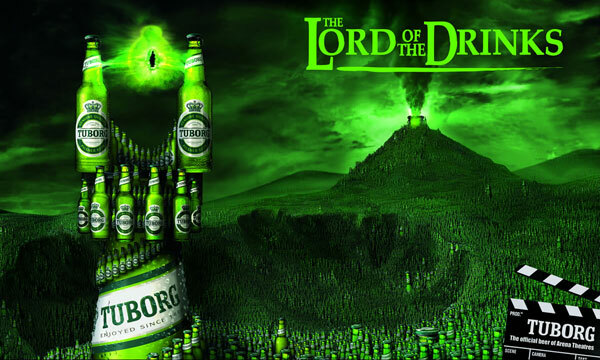 You took a VERY recent campaign for Absolut and you turned it green for your own purposes. Hey I have an idea. Let's make a new tagline for Burger King. How about, "I'm loving this." D O N E ! ! ! Un poco aburrido tratándose de Heineken. Im impresive. Good idea, great grafic. Disappointing, because, as noted, the Absolut campaign is still very, very recent. Not that it was all that original in concept either, but seeing two alcohol ad campaigns using the same visual approach... well, that and the corkscrew (Huh?). me parece buena , pero una grafica muy similar a la de turbog. Nice art direction, illustration... i like it a lot!!!!! This is not NEW !!!! Nice Art direction, but ... nooo no no I don't like it, sorry. And not just because i despise Heineken in any bar. There's something wrong with the colours- the first thing that comes to my mind looking at this green-yellowish combo is vomit. Not a great asociation for an alcohol ad.